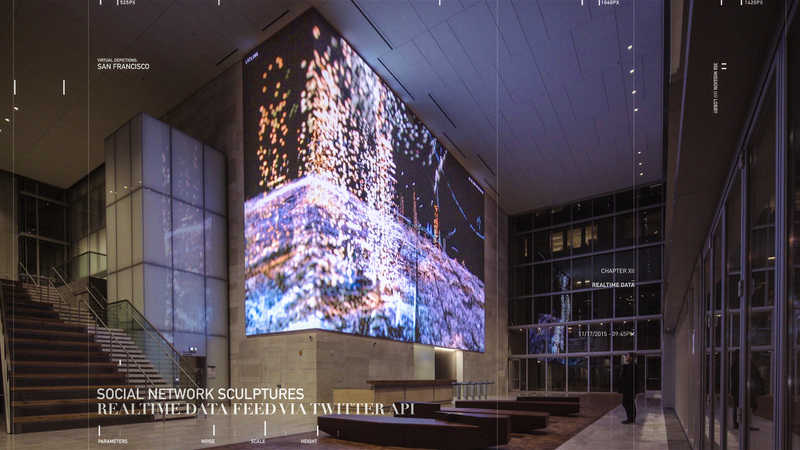 Part of the public art project ‘Virtual Depictions: San Francisco’ by Refik Anadol. 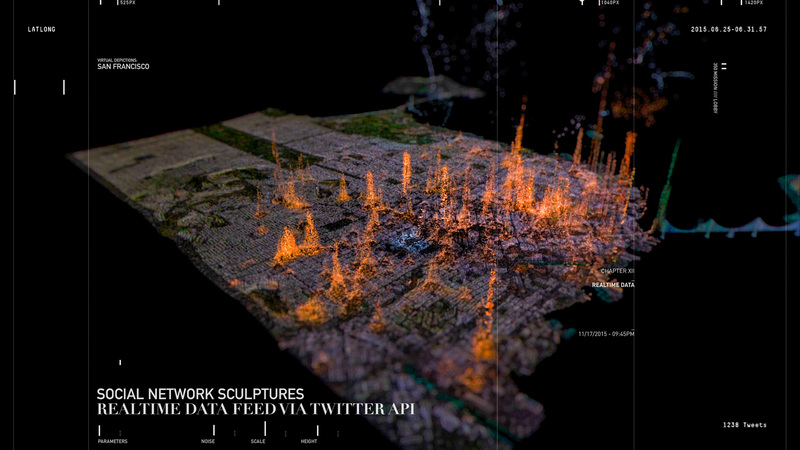 “In this real-time visualization of twitter activity in San Francisco, thousands of daily tweets are transformed into millions of particles that illuminate the cityscape, floating up from where they were written and rising into the sky. 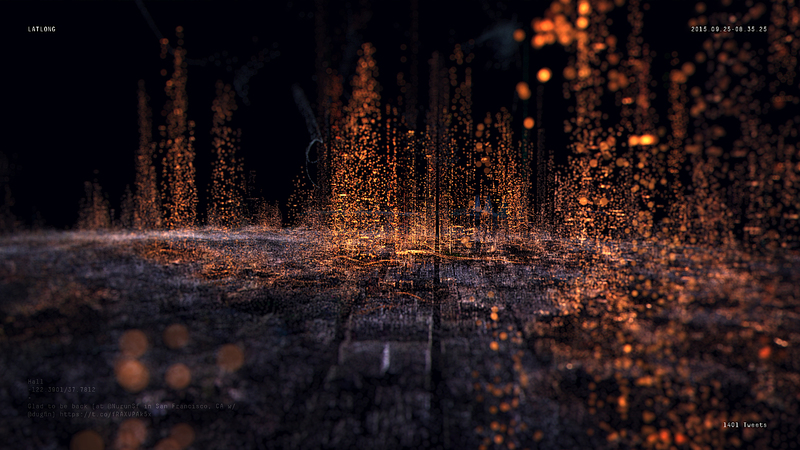 The visualization was created by mapping every geotagged tweet to a point-cloud model of the iconic seaside city of San Francisco. 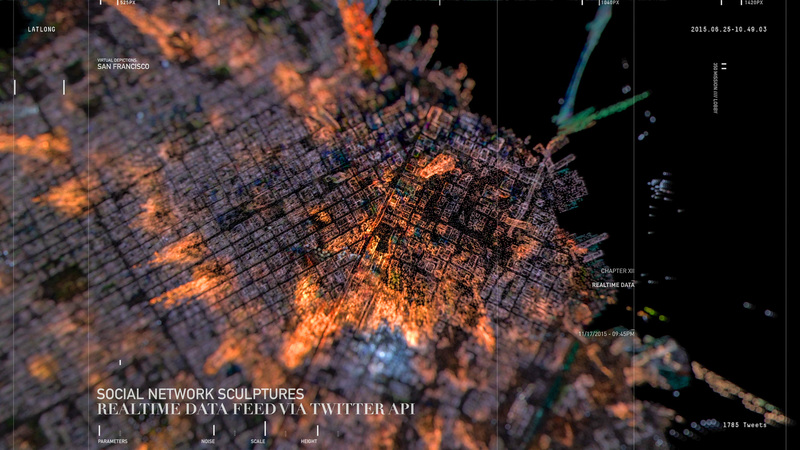 In the video, this mapping generates a heatmap of Twitter-messages that colorize and displace the point-cloud. Every tweet emits a swarm of particles that spawn on the point-cloud itself and symbolize the words and letters of the tweet. 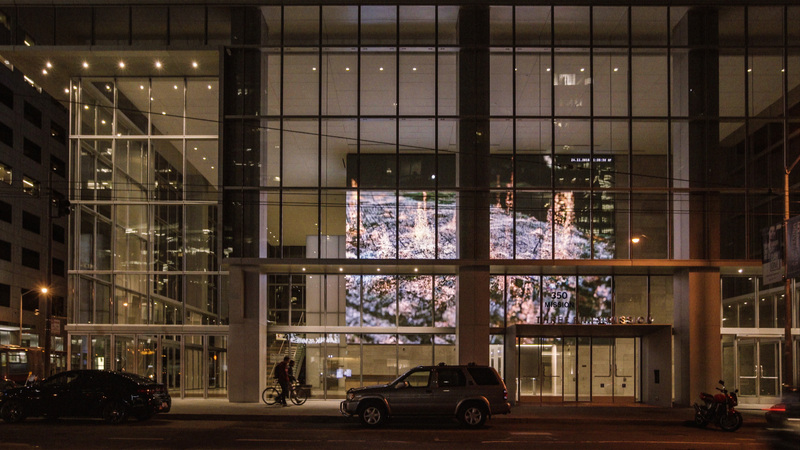 LATLONG is part of the public art project ‘Virtual Depictions: San Francisco’ by Refik Anadol with Kilroy Realty Corporation / John Kilroy and Skidmore, Owings & Merrill LLP Architects.